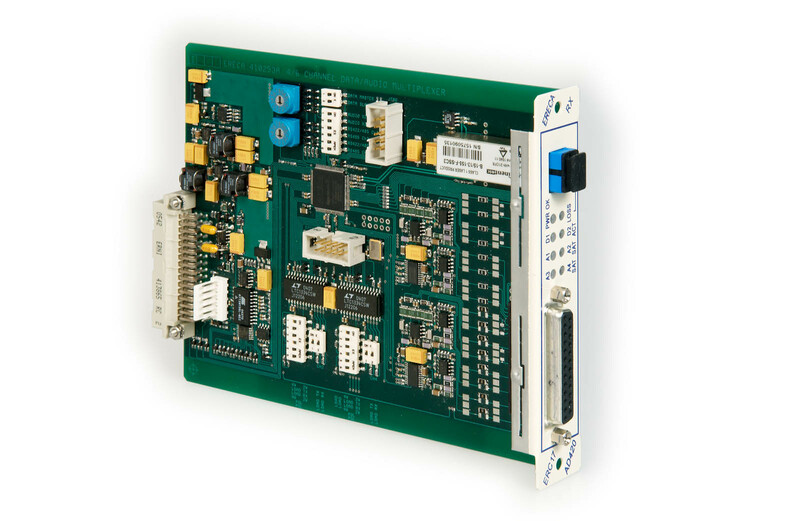 The ERC AD 420 module transmits 4 bi-directional audio channels and 2 multiprotocol bi-directional data over multimode or singlemode optical fiber. The data channels are fully independent; setting for RS 232, RS 422 or RS 485 4 and 2 wire is done on the board by dip-switches. The module is HOT SWAP and can be plugged in the 19″ 3U rack mounted chassis, the ERC 17-001, and supervised by the ERC 17 GUARD for SNMP or HTTP alarms management. The ERC 17-SA is also a solution to power one module ERC AD 420.